…A portion of the profits from every album sale will be donated to a charity called VSN (Volunteer Service Nepal). I am a fully independent, 100% listener supported artist. What this means in reality is that I have two jobs. I make art, and I also make and run the business which serves as the bridge between me and anyone who wants to buy my art. In terms of business, I wanted to create a system that didn’t just help me, but helped others as well. One of the ways that I am achieving this is: by channelling a part of the income from all album sales to places that it will do good in the world. And VSN is definitely one of those places. 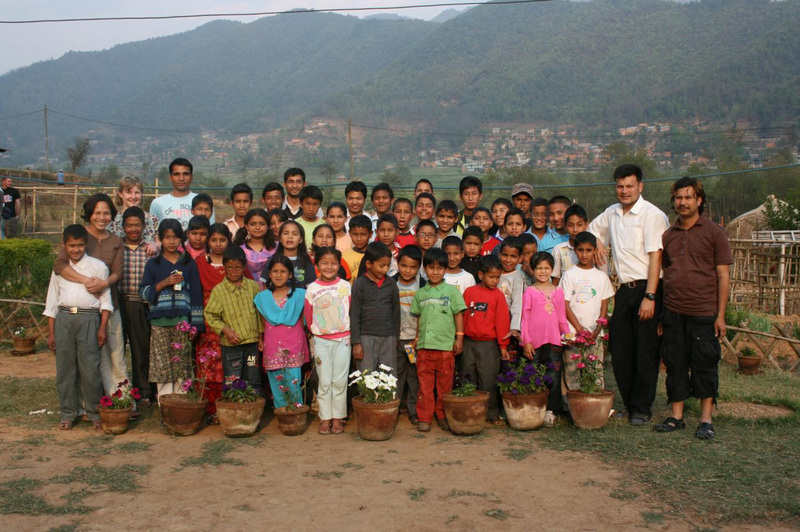 VSN is an organisation that operates in Nepal, whose primary focus is: helping displaced, destitute, and orphaned children. Their aim is to provide sustainable assistance, enabling others to help themselves. They do this by: running orphanages for the kids, through teaching and education, and with community maintenance programmes. Theirs, is a thoroughly worthy enterprise. Some of the children VSN is helping. As well as believing 100% in what they do and the reasons that they do it, I also have a personal link to the organisation. 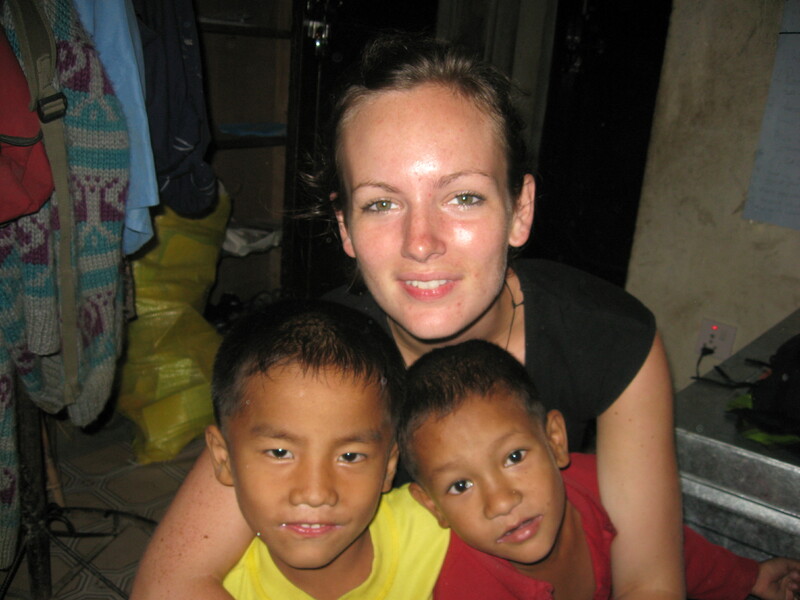 They came to my attention because Jen has volunteered with VSN twice, and has experienced firsthand the impact that they have on these children’s lives. I am not blind to the fact that I am in a very fortunate position. I get to do the thing I love everyday. I have enough food. I have a place to live that’s warm and dry. I have good coffee, and I have people around me that I love. For me, this is very close to a perfect life. It’s a cliché to say that not everyone in this world is as fortunate. Sadly, it’s a cliché because it’s true. So this is my small way of trying to redress the balance a little. To take some of my fortunate and pass it on. When you buy my album, you will not only get the greatest music that I am capable of making, you will also in a very real sense, be helping people out in the big wide world. As for tips, I’m not sure whether you mean for writing itself or the web stuff, so I’ll give you the best I have for both. For writing, I would just say Write Everyday. Finish things, and then write more things. Everything else will come thru that. And for web stuff/promotion etc, I would definitely say start out with a free wordpress.com site. They are really easy to set up. Focus on putting up the highest quality content you can, and you can always upgrade once you have a stockpile. Hope that helps. If there’s any other questions you have, I’m happy to help. Do you have a sample of your music on soundcloud or youtube? I would like to hear it. I have 2 streams of demo’s from the writing period for this album – they are on my ‘Sounds’ page. Also, the album is going to be out on Fri, so you will be able to check out the finished product. Fabulous…I wish you well in all your endeavours…I am working to produce works that not only inspire but can benefit charitable causes…thank you also for liking my post on ‘Square the Circle Art’. It’s a really good thing to work it so that your art benefits you AND others. – I think it’s the way of the future.